Fill-out the form below to get a price for residential flyer distribution. Your ad, along with other companies (no duplicate industries), will be distributed to homes in the Las Vegas Valley. 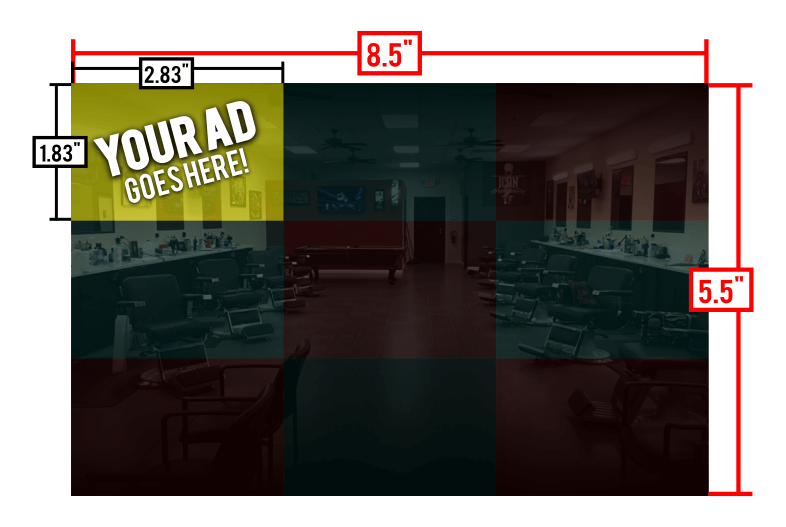 you choose the type of ad, the amount of deliveries, and the areas in town you would like them distributed to. Campaigns begin at the beginning of each month and must be booked at least 3 weeks in advance to allow for printing and scheduling. Q: Do your flyers go to mailboxes or are they hand delivered? Q: On what day do flyers get sent out? A: Yes. The payment for work is due prior to start. Q: Will my flyer be delivered with other companies? A: Yes. We put up to 15 flyers with each delivery. Though there will never be any duplicate industries shown with your business. Q: How long until a rep calls me after my order is placed. A: A LVpromos representative will call to discuss your project within 24 hours of receiving the order. Choose the type of ad you want. Scroll down for more options. 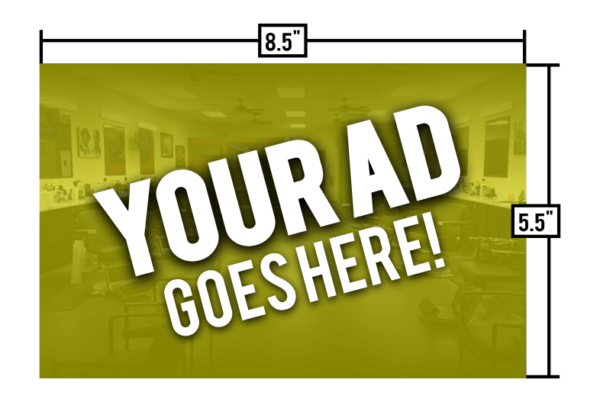 This is a (2.83"x1.83") coupon ad, which is displayed with other companies (no duplicate industries) on an (8.5"x5.5") flyer. This is a full single sided ad, displaying only your business on one side of (8.5"x5.5") flyer - it will be distributed with other companies (no duplicate industries). *How many Deliveries this Month? *Do you need us to design your ad? For only $5, your design(s) will be reviewed by our specialists before production to ensure print specifications are correctly met. If there are any issues, you will be notified via email to review and finalize your design(s). We’ve been using LV Promos for door2door flyers for about a year now and they have always done a great job. 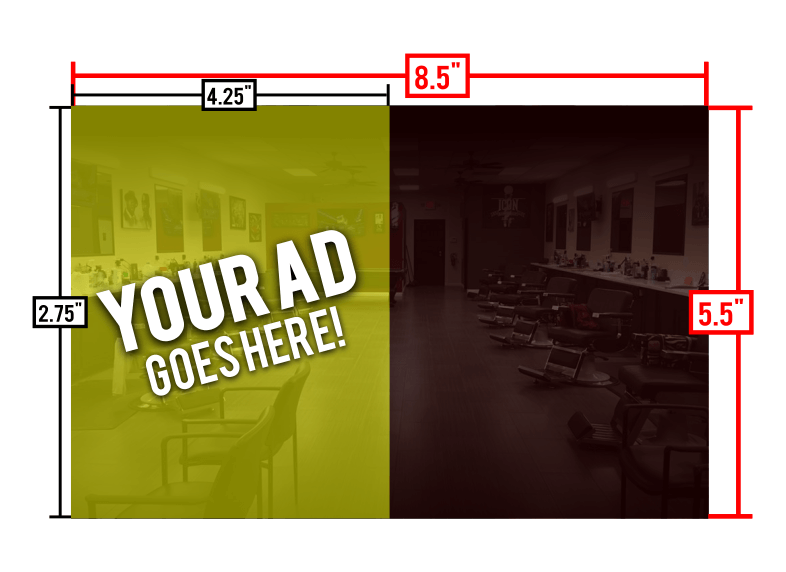 The roi on their flyer packages are pretty good, too – We usually get about a .5-1% turn around. Best Flyer distribution service I’ve used in town. They get the job done, each and every time. With monthly reports and gps screenshots sent of canvased areas.